Call 877-7500 for more information. DESCRIPTION: Vacation Bible eXperience is Kidwell Park’s annual week long summer camp! Open to kids in 1st-6th grade, VBX is a fun filled week of discovering God’s love. This year we will set out on a jungle adventure, uncovering traps and treasures along the way. VBX is a morning camp from 9-12, June 17th-21st. Visit www.bidwellpres.org for more information and registration. DESCRIPTION: Local artist, Lauren Mesa, will lead kids in a week of artistic expression and fun! Art projects will include collage, paint (watercolor & acrylic), simple mosaic, pastels, colored pencils and more. Space is limited to the first 22 participants. Camp will run June 10th-14th in the morning. The cost is $90.00 Get more information and register online at www.bidwellpres.org. DESCRIPTION: The Boys & Girls Club of Chico’s Camp Journey will explore “A Journey Through Time,” featuring different themes each week. Campers will experience fun, exciting, educational activities and field trips, including swimming twice a week and weekly trips to the movie theatre. Camp Journey offers a free breakfast and lunch daily. Chico Cheer All Stars, Inc. DESCRIPTION: Beginners Cheer Camp: July 8th-11th.Athletes will learn basic cheerleading motions and terminology, tumbling, jumps and a special dance to perform on the final day! Tumbling Camp: July 15th-18th. Beginners will work on basic tumbling skills and jumps. For the advanced tumbles (back handsprings or above), focus will be on higher level tumbling such as tucks, layouts, and full’s. Stunt Camp: July 22nd-25th. Kids will learn proper technique to base, back spot or fly in variety of stunts throughout the week. Register by visiting www.ChicoCheerAllStars.com , fill out and send in “Summer Camp Packet” early to ensure your spot! Limited spots of same day registration will be available the Monday morning of camp 9:30-10am. Please wear shorts and a tank top or tee with flexible tennis shoes and bring a sack lunch. DESCRIPTION: June 10-21:“Disney Princesses” 9am-12pm (M-F), “Ballerinas on Broadway” 9am-12pm (M-F). Camp directors, Miss Melinda & Miss Sheree, share their love of dance, theater & music. Campers are introduced to several dance styles in preparation for performances held at the end of each camp. Special camp shirts, crafts, games, prizes & cast party are all included. Make new friends & have lots of fun! DESCRIPTION: June 10th-August 16th. Held at the Chico Creek Nature Center, in the heart of Bidwell Park, Camp Chico Creek is ten 1-week sessions of environmental education based camps for children 5-11 years old. The program is designed to provide outdoor recreation activities and to foster awareness of nature in a fun, safe, and caring setting. Themes covering the parks habitat and its natural and cultural history are presented to campers through short nature walks, lab activities, animal habitat exploration, presentations using the nature center’s live animals, art activities and swimming in Big Chico Creek. DESCRIPTION: We have 6 camps available: Art, Gardening, Science, Cooking, Insects and, The Solar System. They are each two week sessions, except the last one which is one week. Each area will have multiple hands-on activities during the session. Throughout the summer, the Montessori materials will still be available and every day we will have our regular summertime water activities. Call for more details! DESCRIPTION: Held July 22nd- July 26th. This awesome event will be coached by our team of award winning instructors, who will guide students through the basics of playing music. Students will also have the opportunity to compose and record a CD. Camp will conclude with a concert, live video shoot, and your band’s CD being played on local radio! Enrollment is very limited, so please call or email us as soon as possible for sign-up information. DESCRIPTION: Tennis is a sport for everyone! Weekly sessions: Monday-Friday 10:30am to 3pm, June 10th – Aug 16th. Campers learn about the game of tennis through skills, drills, games and matches. Campers also enjoy a refreshing break in the Club’s swimming pool! Racquets and balls provided. Please call for more information. DESCRIPTION: The camp is designed for children aged 6-12. Activities are developmentally appropriate so that each child is able to experience all of the activities. Our counselors bring a variety of skills and experiences to provide the best possible camp experience. Many of our activities include: rock climbing, swimming, field trips, games, and demonstrations, to name a few. Camp includes weeks focusing on sports skills, emergency responder, animals, and more! DESCRIPTION: Weekly starting June 3 – Aug 10th. Dragonfly Summer Camp is designed to give younger children, ages 2.75-7, a playful and active summer camp experience. Each week’s thematic camp integrates cooking, crafts, games and music. Children are sure to make new friends and enjoy their exciting days at camp. All materials, organic and homemade snack and lunch included. Dragonfly Playschool is a Certified Eco-Healthy Program, state licensed with a credentialed teacher. Visit www.dragonflyplayschool.com for camp descriptions. DESCRIPTION: Join our weekly themed, fun filled summer camp. Daily arts & crafts, sports fun, wacky games, group challenges, field trips & SWIMMING are waiting for you! Afternoon snack is provided for full day campers. Registration and fees can be completed online at www.durhamrec.com or in the recreation office. Enrollment is week-to-week and there are options of full time, part time and daily drop in. DESCRIPTION: Join us for 5 days of music, Bible study, crafts, games, and snacks! This year’s theme is Kingdom Rock: Stand Strong for God! Hope to see you July 15th-19th from 9am-12pm. There is no cost for the program; T-shirts and CD are available for purchase. See you there! 1193 Filbert Ave. Register by July 10th or until full. For more info please call. COST: $21/day, $105/week, $830 for all 9 weeks (must be paid up,front to receive the discount). DESCRIPTION: Held weekly June 10th-August 9th. Located at the FRRPD activity center 1875 Feather River Blvd, Oroville. Field trip Fridays @$3 per child. Homemade lunch @ $3 per child, AM and PM snack are included. Swimming at Palermo pool 2 times per week-free. Camp T-shirt @ $8 per child (one-time fee). Daily Gymnastics, daily Arts and crafts, slip and slide water play daily. Weekly themes. Qualified, friendly and creative staff. Space is limited so sign up today! DESCRIPTION: These summer camps are designed to be a fun, heart-healthy, active alternative to the ‘normal’ Summer Camp. This is a chance for the campers to do everything FunLand and Cal Skate has to offer, and then some! Campers can spend the morning ,or the whole day, doing things not normally offered to the public. Activities will include, but are not limited to: Skating, mini-golfing, batting, arts/crafts, arcade games, dodge ball, hockey, and more! DESCRIPTION: “Eco-Kids” Jun. 24-28, (Grades 4 & 5) Exercise environmental stewardship while exploring awesome hands-on activities like solar cookers, renewable energy sources, composting, and making art with robots! Lunches and snacks provided, cost is $175 per session. “Eco-Rangers” Jul. 15-19, (Grades 6 – 8) Investigate principles of environmental stewardship by delving deeper into science, technology, engineering and mathematics (STEM). Learn natural resource management; build wind turbines, program robots and much more! Lunches and snacks provided. DESCRIPTION: Our summer riding program is packed into weekly 4-day camps, with activities for all ages and abilities. Held: June 17th-20th, June 24th-27th, July 8th-11th and July 15th-18th. Camps are scheduled mornings, Monday through Thursday, from 9:00 to 11:00am. Riding activities will include: horsemanship skills, games, relays, and horse related arts and crafts. One-hour 4-day camps are also available. Please call our office for additional information regarding rider registration, costs, and volunteer opportunities. DESCRIPTION: Offered June 17th-19th (Session #1) and July 22nd-24th (Session #2). Ariel, Cinderella, Snow White, Jasmine! Dancers are encouraged to dress in their favorite Disney Princess attire! Each day will include an hour of ballet, 1/2 hour of snack/craft/color time, 1/2 hour story time, and an hour of choreography. Breaks included. 9am-12pm. Early drop off at 8:30 AM available. DESCRIPTION: Held June 24th-27th. Learn the latest moves with great music kids love from the hit series “Shake It Up”! Each day will include 2 hours of jazz and hip hop instruction and 1 hour of freestyle and creative dance. Dancers will put together their own performance to perform on the Final Day! Breaks included. 9am-12pm. Early drop off at 8:30 AM available. DESCRIPTION: Held July 15th-17th. If your child loves to cheer and dance…This is the camp for her! Kids will learn pom motions and terminology, dance technique, visual team movement and a special dance to perform on Final Day! Chants and cheers will also be taught, as well as team-building activities daily. Breaks included. 9am-12pm. Early drop off at 8:30 AM available. Please wear shorts and tank or tee, with flexible tennis shoes. DESCRIPTION: Held July 8th-11th. Learn the latest hip-hop moves with great music kids love! Each day will include 2 hours of hip-hop instruction (including stretch and warm-up, tricks and skills, rhythm and musicality, and choreography) and 1 hour of freestyle and creative dance. Clean and appropriate music and movement for children. Breaks included. 9am-12pm. Early drop off at 8:30 AM available. DESCRIPTION: Session 1: July 15th-19th, Session 2: Aug 5th-9th. 12pm-3:30pm. Each session includes dance technique, fun games, learning a variety of routines set to current music with clean moves and lyrics, and a fantastic end of camp performance for our parents! Each camper will receive a camp T-shirt, all arts and craft supplies to create great items to take home, and a healthy afternoon snack each day. Come make new friends, learn some great dances, and get healthy with Jazzercamp! DESCRIPTION: Monday – Friday 8:30am-1:00pm. Session #1: June 17th-21st, Session #2: July 8th- 12th, Session #3: July 22nd- 26th, Session #4: August 5th-9th. Kids In Motion summer camps are all about fun in the sun!!! Your little one will be exhausted after a day of non-stop action in the water. To sign up, please visit www.inmotionfitness.com or call 530-895-5437 and ask for Tennille. DESCRIPTION: Kids and Creeks invites teens to participate in a hands-on science adventure in the Northern Sierra! This beginner-level backpacking trip will introduce participants to the natural history of the region, while at the same time teach the skills to make backpacking a fun, safe experience. Food, transportation, and equipment will be provided. The trip takes place in the Fordyce Creek region of Tahoe National Forest, 2.5 hours from Chico. Held Aug 5th – Aug 8th. DESCRIPTION: Nine weekly sessions starting Jun 17th. Each session is held M-F, 9am-3pm. Weekly themed summer camps: Wet ‘N Wild, Garden Adventure, Ultimate Kid Concoctions, Cooking, & more. Please call for information. So You Think You Can Dance Camp! DESCRIPTION: Learn hip-hop/jazz, ballet, tap in this fun dance camp! Classes are beginner level. Our special camp price reflects a discount of more than 50% from our usual fee! Come prepared for fun. You will take several different dance classes each day, so bring water and a light snack. Our last day will include a performance for families! Please call Kinetics at 345-2505 for instructions on dance attire. This camp is held at Kinetics Academy of Dance, 627 Broadway. M-F 7/29-8/2 12:30-5:30p 9-12yrs, $125 OR M-F 7/29-8/2 9am-12 pm 6-8 yrs. $90. DESCRIPTION: Join us for a dynamic summer full of FUN, FUN, FUN! Are you looking for a safe place where your child will be engaged with other children their age? This summer camp is for you! 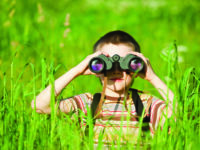 Your child will join us on an adventure as we explore new games, places and experiences. Besides our on-campus activities, we will be taking trips to go swimming and to the movies. We offer full or part time camps with meals and snacks provided. Held weekly June 10th-August 16th. DESCRIPTION: Two 3-week sessions with the option of choosing 2-5 days per week. Beginning June 10th-July 26th (week of July 4th off). Art, water play, stories, organic snack, songs, Spanish gardening & cooking throughout each session! Register now! Full day and lunch hour available upon request. Join us for play! Some school age spots available as well. DESCRIPTION: The juniors are in session daily from 9:30am to 4:30pm and the seniors 9:30am to 6:30pm. They will have instructions in ballet, pointe’ variations Pas de Deux, injury prevention, Flamenco and fencing. They will be offered lunch and two snacks & all dietary needs will be met. We offer housing with current NCB students for an extra $135.00. There will be a final work shop performance on August 11 2013 at 2:00pm at the Paradise Performing Arts Center. COST: Cost is $40 per child and includes swim pass. Charge for additional siblings is $20. DESCRIPTION: LEAP Into Summer Camp is a five day interactive nutrition education and swim day camp. The camp aims to help kids develop healthy lifelong eating and activity patterns. Each day starts with swimming at the Shapiro Pool, followed by nutrition education and activities. Nutrition education topics include balanced meals, soda and sweetened beverages, fat and fast food, fiber and whole grains, and ways to increase physical activity. Held June 17th-21st from 12pm-5pm & July 15th –19th from 12pm–5pm. DESCRIPTION: Whether you are looking for summer camp or summer care, Parkside’s Jr. Kindergarten Camp has it all!. Focus is on Kindergarten readiness and FUN! From Bidwell Park exploration & science experiments to cooking, gardening, yoga, Spanish and weekly field trips. Add in a new theme and adventure each week to keep your child strong in body and mind. You’ll have everything you want for your child this summer and beyond. DESCRIPTION: Held weekly June 17th – Aug 4. Looking for a great way to keep the kids busy this summer, having fun, gaining confidence, being creative and working on a team? Playhouse Youth Theatre is excited to provide performing arts opportunities for ages 4 – 17. For ages 9 – 17, join Chico’s only youth comedy improv team; Fill in the Blank, as they think on their toes fast! Then, join us for our second annual script-writing and directing workshop; New Works Festival. In the spotlight is a musical; Willy Wonka! This is for ages 4 – 6 and 7 – 15. 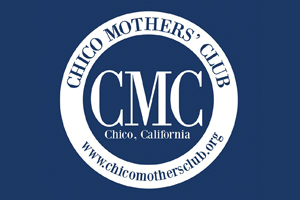 All rehearsals and shows take place at The Chico Women’s Club. To register and for more details, visit playhouseyouththeatre.com or call Lisa Schmidt, Playhouse Director at 530 774-4451. DESCRIPTION: In association with The International Institute of Education Through the Arts and The Artist’s Playground, children and their families can participate in all or part of this 8 week program! Program studies include: ceramics, decoupage-mosaic, painting, theatre arts, textile arts, drawing, large sculpture, and miniature sculpture. 1 day to 5 day options, M-F, $35-$130. Academic support: $35, M-W 2:30-5:30pm. Evening Art Program: $35-$80, M-W, 6-9pm, 1-3 day options. Held weekly from June 17th-August 9th. 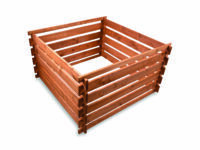 DESCRIPTION:Held weekly from June 10th-July 19th. CARD and Silver Dollar BMX have partnered to bring BMX to Chico again this summer. Come and meet our professional instructor, JakePeebles, and other national champion instructors. If you are just beginning, or have some experience in the novice class, you will not want to miss out on Jake’s secrets! This camp features basic instruction from the starting gate to the finish line, including gate starts, passing, jumps and more! Camp is open to boys and girls. Each class member will receive 4 Thursday night practice and race sessions at the Silver Dollar BMX track ($20 value). Practice is from 6:00pm to 7:00pm with racing starting shortly thereafter. DESCRIPTION: Summer Horse Camp at Southwind Farm offers riding instruction, horsemanship, crafts and games for ages 4 and up at our clean, safe and professional facility. Safety is taught and practiced while having fun and learning on our gentle and reliable horses. June 11th-13th, 9am-12pm for ages 4-6. June 24th-28th, 9am-5pm or half days for ages 7 and up. Additional camps will be offered as these fill. Call or email with your address for a brochure. DESCRIPTION: Held on Wed or Th, 6/26-8/1, 10 am-3 pm: Beginning and intermediate/advanced sewing and garment design classes. Projects provided for beginners; intermediate/advanced students will work with patterns and make their own designs. Bring your own machine, if you can! Snacks and drinks provided. Held weekly from July 8th-August 1st. Each week, join in hands-on fun to learn about different cultures and fascinating discoveries in our world. Camp begins with a week of Space Adventures, against the backdrop of the current exhibit. Investigate the solar system and beyond. Week Two: Think Like a Paleontologist and explore the world of the Mesozoic when dinosaurs and other long-ago creatures ruled. Week Three: Cultures of the Americas introduces the campers to traditional lifeways from Hopi to Aztec and local California groups, too. Finally, Week Four we will offer the Best of Camp; each day a new topic from Egypt to Rain Forests. Enjoy the mad dash around the world. Each week is M-Th morning session only 8:30am-12:30pm. DESCRIPTION: Wood Family Farm is passionate about providing enriching hands on experiences that connect Chico area kids with the world around them. Our nature-based environmental summer adventure camps include: “Life on the Farm,” “Woodworking-Habitats,” “Farm to Table Cooking,” “Learn and Play in Nature” camps and more. Children will care for farm animals, tend to an organic garden, cook fresh healthy food, and enjoy creative art projects as we play and learn together.